Modern organizations understand that data and analytics are an important competitive advantage in today’s business environment, tapping into the power of analytics to improve their performance and identify new opportunities ahead of the competition. APQC’s data and analytics research will arm you with the tools, techniques, and strategies to help you understand and benefit from this rapidly-growing business movement. Use our best practice research to assist you in establishing analytics capabilities, outlining the value proposition for analytics, addressing the change management issues associated with establishing analytics in your organization, and more. If you cannot find the content you are looking for, contact our experts; they stand ready to help. 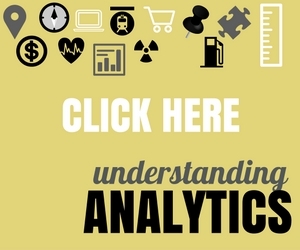 Article: Analytics: Why Are Organizations Lukewarm on Such a Hot Topic? Most organizations understand they have business problems to solve, but no clear understanding of how to use data to help resolve them. Our proven approach to process-improvement combined with a focus on statistical analytics will provide you with more reliable answers to your key improvement questions. Contact us to learn more.